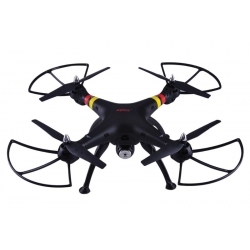 Syma X5SC is a 2.4GHz drone with a HD 720p camera allowing you to film all of your flights, as well as taking photos along the way. 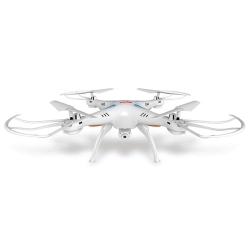 Who doesn't want to take a selfie from their own drone that's flying twenty feet above them!? Take it home and remove the micro SD card to see what it's like to be soaring across the world. Syma X8C is the larger version of Syma's X5C and retains all the great features, it's just bigger! Designed with the latest 6-axis gyro flight control system, and with the added headless mode, even beginners can experience the joys of drone flying.